Keeping up with Brody Jenner! Brody Jenner will be turning 30 in August, but he’s still partying like a fraternity brother with his friends. The former star of The Hills, who has just signed on to appear with his father Bruce and step-family in Keeping Up with the Kardashians, spent some time in Cabo last week. Throughout his Wednesday beach outing, the handsome former The Hills star was spotted getting close to not one, but two, bikini-clad gals. Next to a long-haired blonde in a coral top and white Daisy Dukes, Brody turned on the charm as he brought his head very close to share words with the fellow vacationer. Later, the son of Olympian Bruce Jenner could be seen talking to a brunette who placed her hand comfortably at his backside. 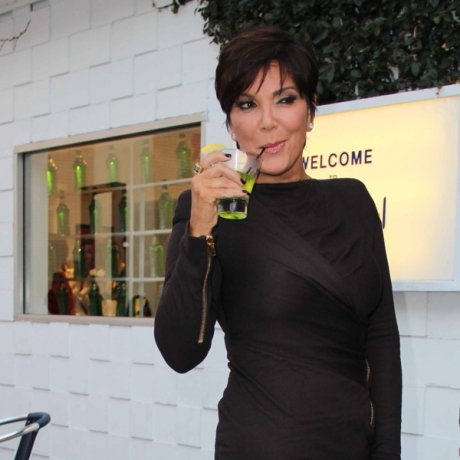 It won’t be until July that audiences will be able to view the party boy’s antics, when the next season of Keeping Up with the Kardashians is set to premiere. Brody’s decision to take on a more solid role comes as Kim Kardashian, 32, admitted the breakdown of her marriage to Kris Humphries has left her ready to quit the show. She explained: ‘Going through a divorce for anybody is devastating and heartbreaking, and then to have to do it and feel like you have to explain what is happening is such an awkward thing. His trip coincided with spring break for many schools around the United States, meaning that he and others could mingle alongside college students. With a nautical trucker hat placed over a bandana, wayfarer sunglasses shading his eyes and a Jenner tattoo scrawled on his side, Brody appeared to be enjoying himself in the sun, certainly not taking himself too seriously.